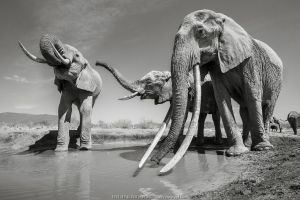 Tsavo is home to some of the last remaining “big tuskers” – elephants with tusks weighing more than 100lbs each. There are probably fewer than 20 of these elephants left on Earth, and almost half of them are in Tsavo. 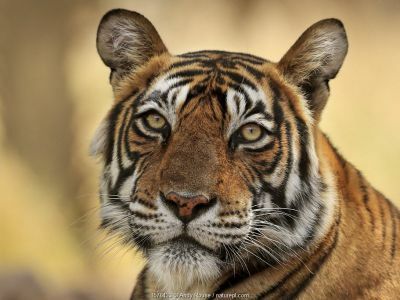 Many live in remote, inaccessible areas and are rarely photographed. 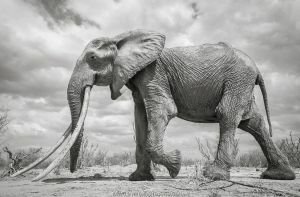 For this book, NPL photographer Will Burrard-Lucas, with the help of Tsavo Trust, managed to track down two cow tuskers and four bull tuskers, including “LU1”, the largest of all. 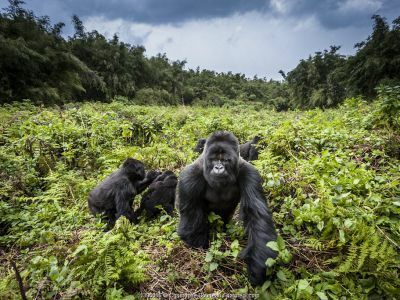 Will’s new book features 150 previously unseen black and white photographs, taken over three expeditions in 2017 and 2018. Will took a third of the images using BeetleCam, which helped him capture an unusual, intimate perspective of Tsavo’s giants. Sometimes Will got lucky and she would pass within inches of his camera. It was in this manner that he captured one of his favourite images – which would go on to grace the cover of his book. Will’s last encounter with F_MU1 was at another waterhole. 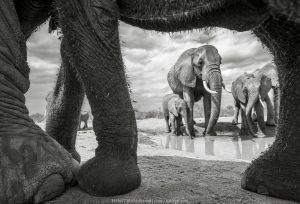 It was a memorable morning because elephants and a large herd of buffalo were battling for control of the waterhole. 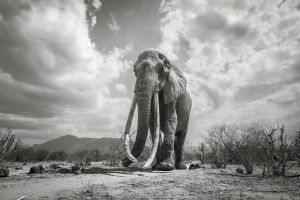 When eventually it quietened down, F_MU1 arrived and Will had BeetleCam perfectly positioned to capture one last image of her – the Queen of Elephants. Sadly, F_MU1 has since died, of natural causes, after more than 60 years gracing the arid environment of Tsavo. 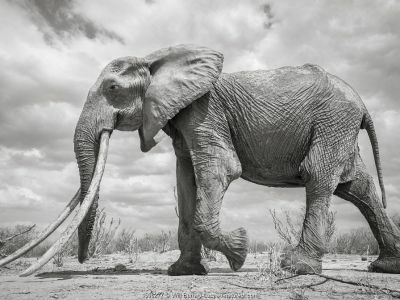 These photographs feature in Will’s new book, “Land of Giants”, published in association with Tsavo Trust. 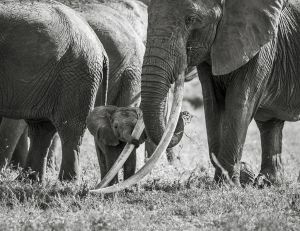 Of course, the book also includes several of Tsavo’s other iconic tuskers. It is released on 20th March. To find out more about the book or order a copy, go to www.landofgiantsbook.com. 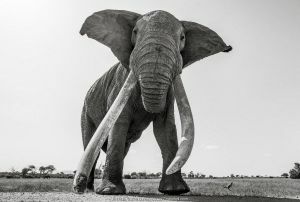 If you would like to explore more of Will’s amazing images of Tsavo’s tuskers, we have created a larger gallery of images from the book. We are also offering a signed copy of the book as a Land of Giants competition prize. 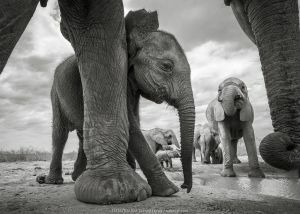 To enter the competition, email and tell us which image from our Land of Giants gallery inspired you, and why. We are pleased to support the Tsavo Trust’s Big Tusker campaign as our current conservation project. 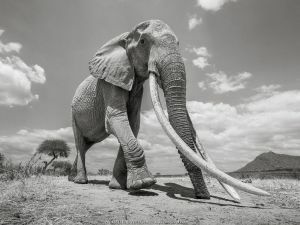 We will make a donation to the campaign from our sales revenue, so by licensing images from our site, you can help save Africa’s last big tuskers!